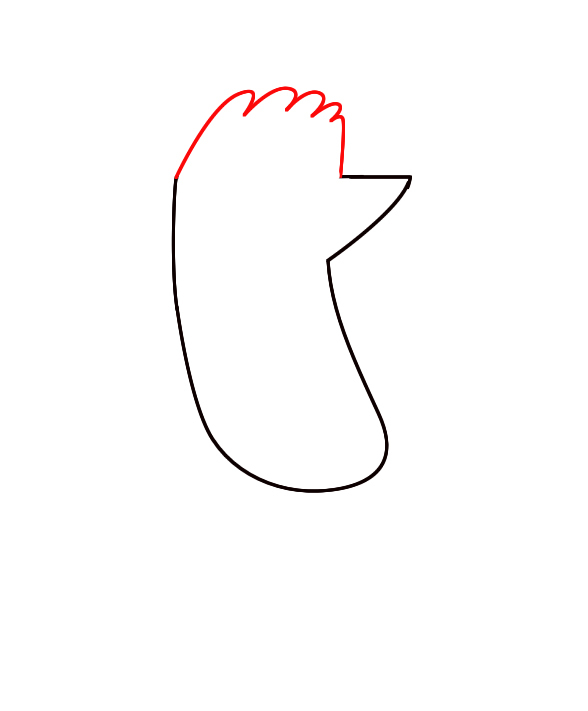 How To Draw Gumball From Amazi..
How To Draw Mordecai From Regu.. 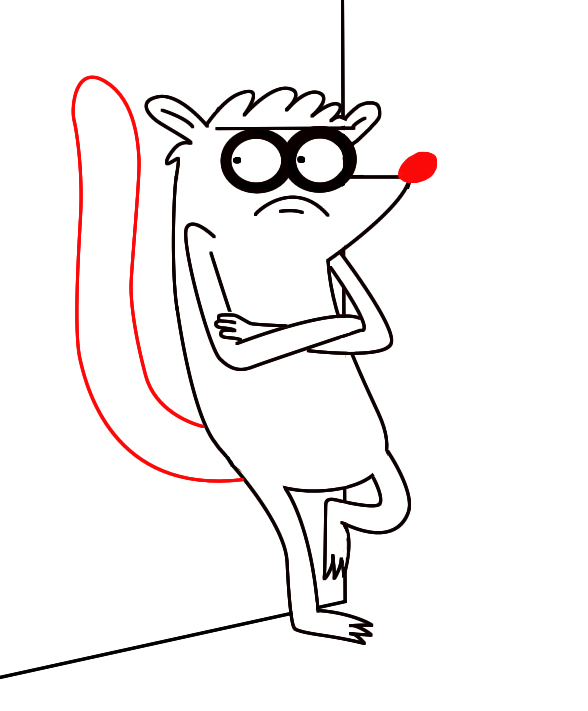 Right after I posted the tutorial on Mordecai, several of you emailed me asking how to draw Rigby from Regular Show. So, I won’t waste any time. 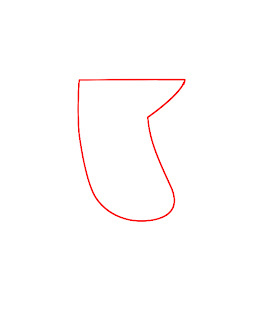 To get Rigby started, we will first need to draw a flat-topped oval. This shape will become Rigby’s body, with the flat top being his upper jaw and nose. On top of the flat part of your shape, draw the top of Rigby’s head by making several tiny tufts of hair. Next, draw another oval on either side of Rigby’s head for his ears, and draw two very thick circles for the outlines of his eyes. We’re going to be giving Rigby a grouchy look in this pose. 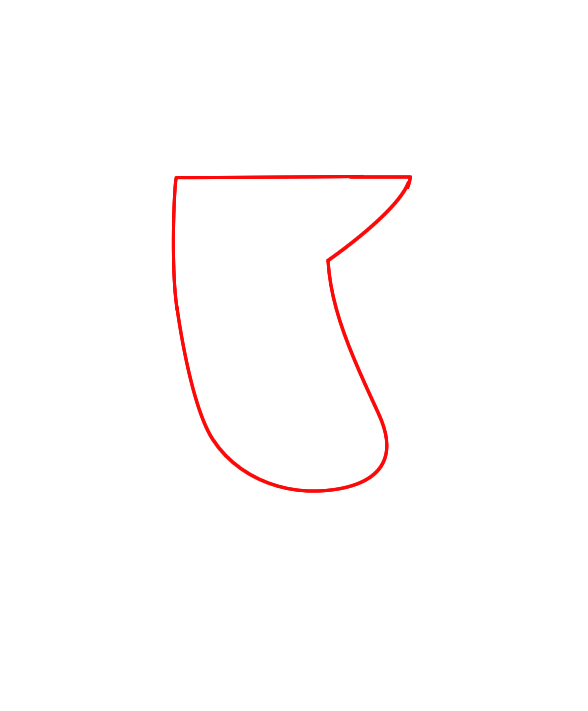 To do this, draw a straight line running across the top of his eyes, and and simple downward curved line for a frown. 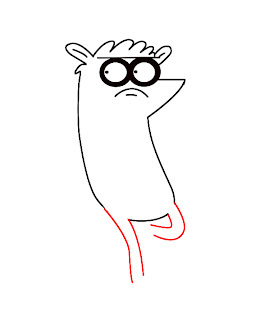 Draw two very thin legs sticking out of the bottom of Rigby’s body. Make Rigby’s right leg curved inward toward his body to make it look like he is leaning up against a wall. Next, draw a line behind his body, and across the ground to form a wall. 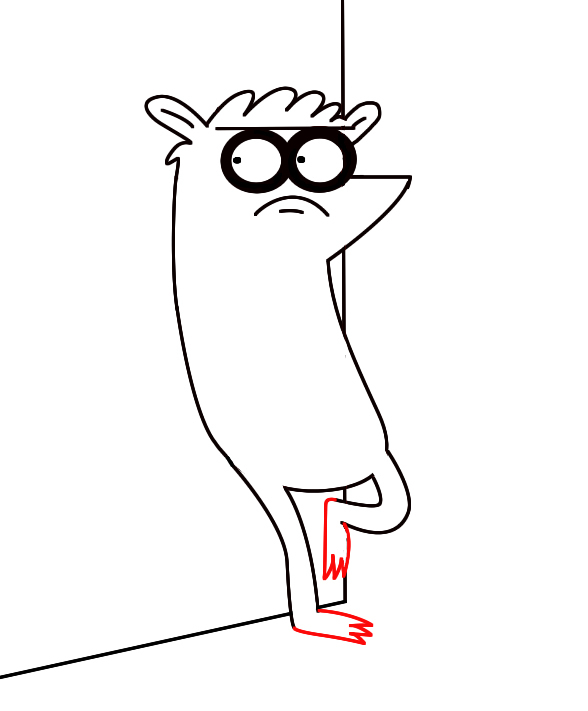 Draw Rigby’s very simple feet consisting of nothing more than three pointed toes. 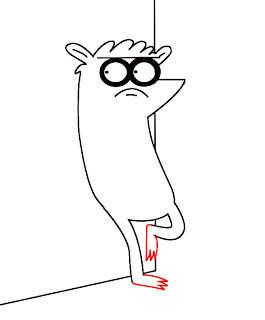 As you can see from the image on the left, the foot that is resting on the wall needs to be drawn with Rigby’s toes pointing toward the ground. To get Rigby’s crossed arms started, we’ll first need to draw his left arm at a right angle– like a big “L”. To complete Rigby’s arms, draw his other arm wrapping underneath his first arm. Then, draw three fingers resting on the upper part of Rigby’s left arm. 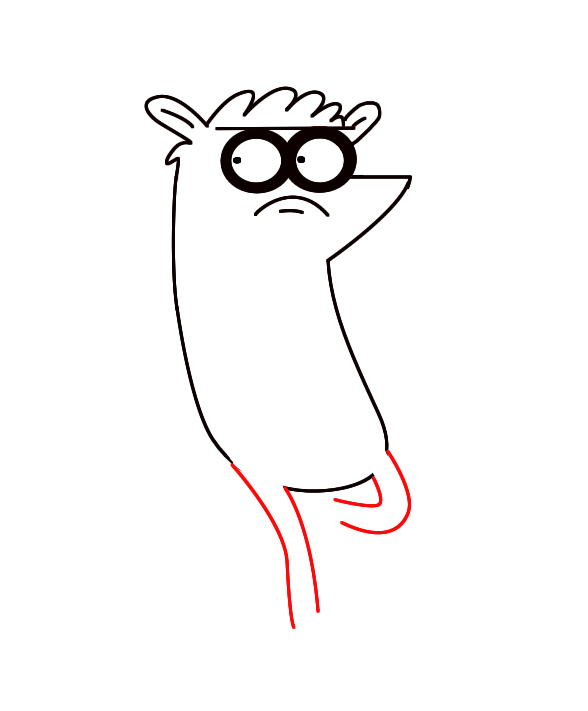 Give Rigby a long tube-like tail that is pointing upward directly behind his body, and a black oval nose. 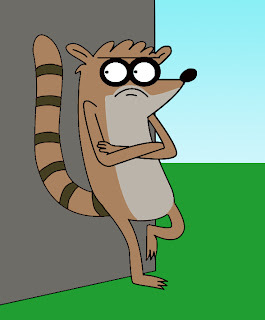 By now, Rigby is just about done. 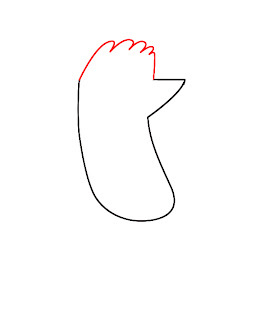 All that’s left to do is to draw about five or six bands running down his tail, color him in, and that’s it! 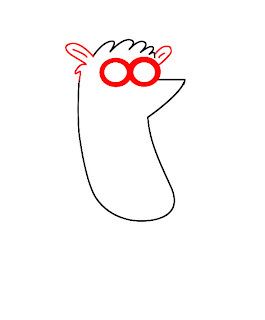 If you’ve enjoyed this tutorial, be sure to share it with your friends and family!